Released in 1967, Air Security (7815) is an uncommon set prized by collectors. 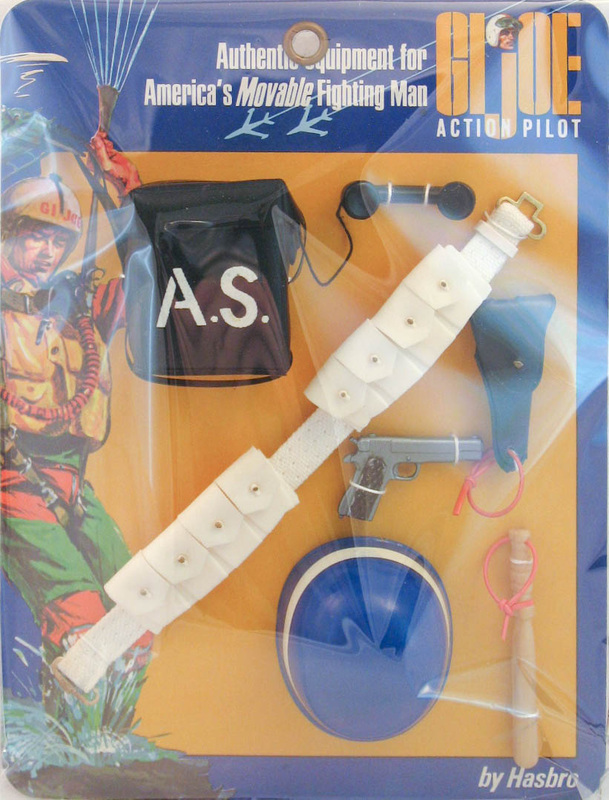 It features a striped helmet like the '67 MP and SP sets, along with a cool black stenciled AS field phone, cartridge belt, billy club, pistol and holster. The set below has been re-sewn to an original card. In original sealed condition with the helmet sticker the set commands very high prices.